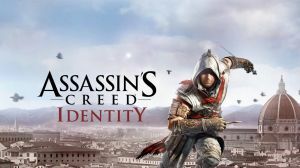 This is the second Assassins Creed game that has been exclusively released for mobile and is a tweaked version of the main franchise. Players return to the Italian Renaissance in this action-adventure video game to solve the 'Mystery of the Crows'. This latest mobile version of Assassins Creed now gives players the ability to create, develop and customise their own Assassins and play as them. No discussions open for Assassins Creed Identity at the moment.